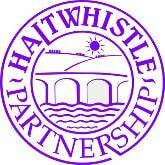 This project supports older people in Haltwhistle and the surrounding area to socialise and have lunch together once a month, this takes place on the first Thursday of the month and is held in the Masonic Hall. If you wish to attend you must contact Ellen at the office to book your meal. There is a Weekly 'Drop-In' on a Tuesday morning between 10.00a.m. - 12.00noon, this is held in the Methodist Hall. In addition trips are also organised such as to pantomimes, day visits or the annual holiday to Scarborough. Special lunches and teas are organised thrioughout the year as well as a' Christmas Day Special' which is held on Christmas Day 10.00a.m. - 4.00p.m. (in the Methodist Hall) and this is open to everyone. Volunteers provide a hot three course meal at lunch time and a light tea in the afternoon. If anyone would like to come along for food please contact Ellen for catering purposes, especially if they will be children so that we can notify Santa. If there is anyone who would like to help out either on the day or with the preparation please contact Ellen at the office.. The partnership have completed refurbishment of the 4 flats above the Centre of Britain Army Surplus Store in the Market Place. There remains a maisonette still to be refuribshed, for which we have secured funding and we hope the property will be available for rent in early 2019. Behind the Partnership Office at Westbourne House is our community garden. Each Wednesday a group of volunteers meet to work in and enjoy the garden. Through this project the Partnership also supports events held by South Tyne Sustainability. Targeting people who feel isolated due to disability, unemployment, mental health or other issues, ‘Zigzag Days’ is being coordinated by Haltwhistle Partnership and will put on minibus trips to visit beauty spots and nature reserves, sites of cultural or historical significance, and other places of interest in the Northumberland National Park and North Peninnes AONB. The day out will include a visit to nearby cafe/tea room for refreshments. Zigzag Days is free of charge to participants unless there is an admission fee to the site being visited. Individuals will pay for their own refreshments purchased during the day. unemployed and/or in receipt of Disability Living Allowance and/or with long term mental health issuesliving in South Tynedale,with no or limited access to a car.Zigzag Days has been generously supported by Northumberland National Park, the James Knott Trust, Greggs Foundation, National Lottery Awards for All, Northern Rail and Tyne Valley Community Rail Partnership will run until the end of March 2019 with trips taking place every other Friday. It is hoped that the project will continue beyond March and the Partnership is seeking ways to secure its future.